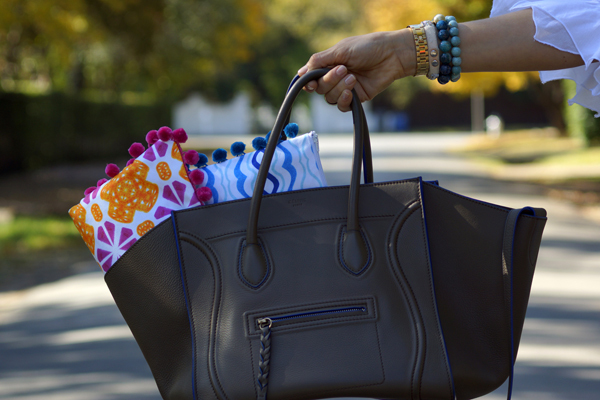 Now I have TONS of pillows in inventory, sot so many in the pouches as the pouches were more of an after-thought. I am kind of wishing it had been the other way around ....but ...like I said this is a test run. So, please come visit the Mimosa Lane The Shop. A special, special thanks to my sweet friends- Steph, Caro, and Teresa who gave me their time, enthusiasm, and support as they modeled my little beauties, and to Julie who lent me her beautiful home for the pillow photos. Also, thanks to Tikva Nguyen for the street style photos. He is a great photographer. If you are in the Dallas area I recommend him. Email me if you are interested. And most importantly a huge thanks to my sweet mama who endured a million trips with me in search of zippers, lining, beads....you name it. So, what is your pleasure? Wow congratulations!! That is so fantastic:) so happy for you! Congrats that is so exciting! I love all the prints. 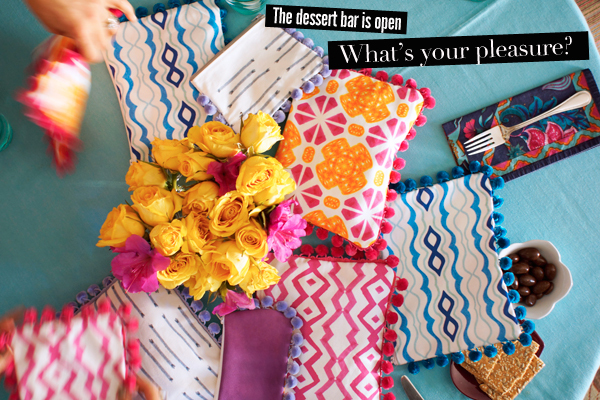 Do you design your own fabric? They are so fresh and lovely! Albertina I wish you the most success in this new venture! I love that your stuff is ORIGINAL and Im going over right this second. Hurray, hurray! This is bound to be a hit. Couldn't be more gorgeous. Congratulations on your new endeavor! How exciting! You're right, everything in your collection is so fun and happy! 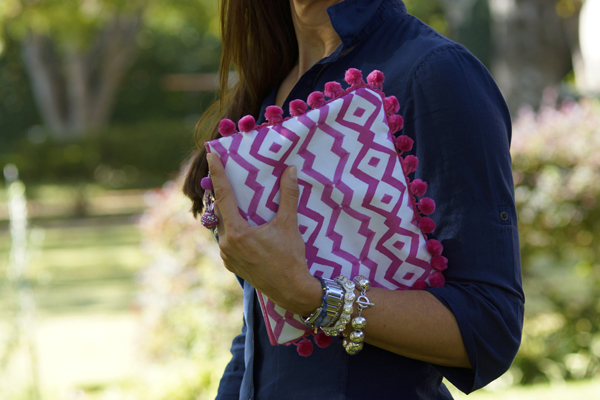 I love the pom-pom trim on the clutches. 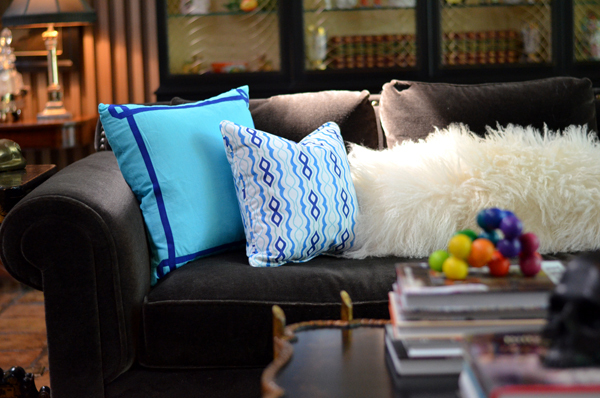 You should consider trimming up some of your pillows with pom poms too! Such a fun detail. OMG, I can't even handle this level of freaking awesomeness right now! You are on fire! So happy. So proud of you sister friend. This is da beesneess times 10! CONGRATS! I'm so giddy and excited for you. So up your alley. 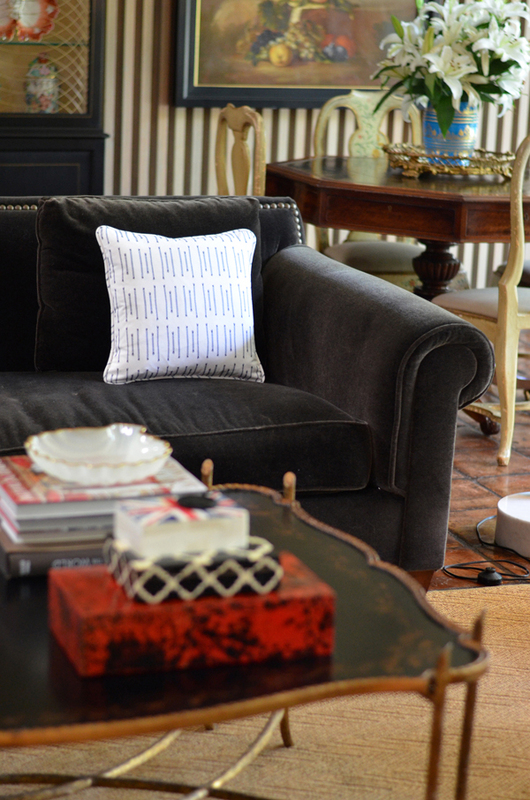 I'm off to peruse because those pillows may be just what I need for a quickie holiday project! Congratulations! So exciting and so fun!! Hope you do very well with it! Beautiful!! Congratulations, this line will do great! Congratulations!!! 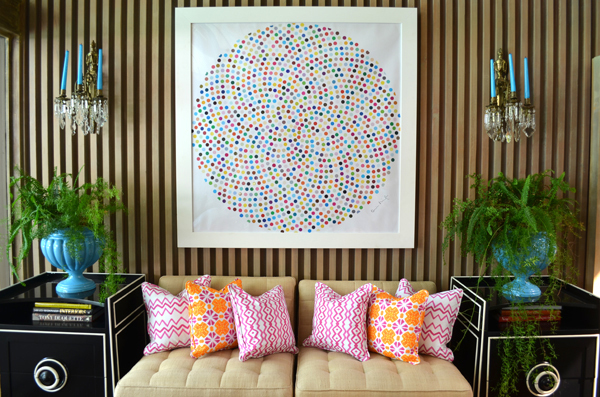 That is so amazing...I love all the bright colors and bold patterns of your pieces! I'll definitely be adding your shop to my Etsy favorites! OMG yay!! So exciting congratulations!!! 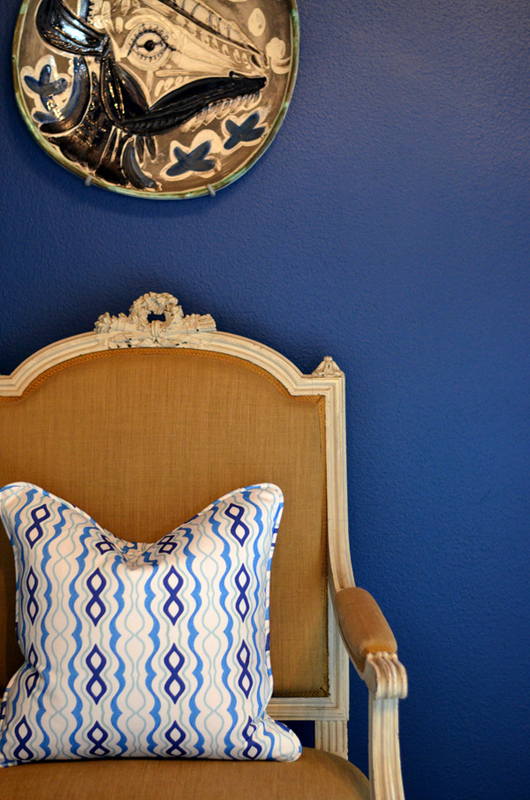 I've been in need of some throw pillows for my new family room! Headed over there now to check it out! Wowww! LOOOOVE it all. Headed over to check out all the goodness! Congrats love, it's going to do amazing I already know it! Fantastic! I love the fabric designs. 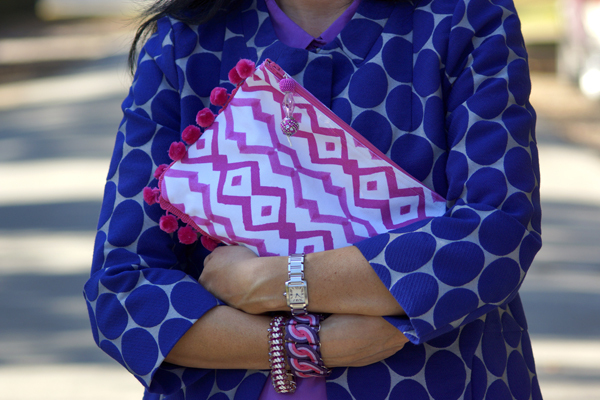 The pillows are beautiful, and the clutches are really fun. Your models have perfect nails by the way. I know this will lead to so much more for you. Congratulations. Amazing Albertina! Ah that is the best news!!! Just found you over at Small Shop and I must say .. I'm a little obsessed with your blog! Now happily following. And a huge congrats, everything is stunning! i want a bag- SOOO CUTE! This is so EXCITING!! You're so talented, Albertina! Everything you have here is absolutely gorgeous! Congratulations Albertina! I love your new line! Giau Albertina un post Top!! me encanto la similitud que haces con la tela de las carteritas con los cojines!!! Okay so these pieces are so beautiful Albertina! I am drilling over those pillows! You are so talented! SO GORGEOUS! You've been holding out on us!! 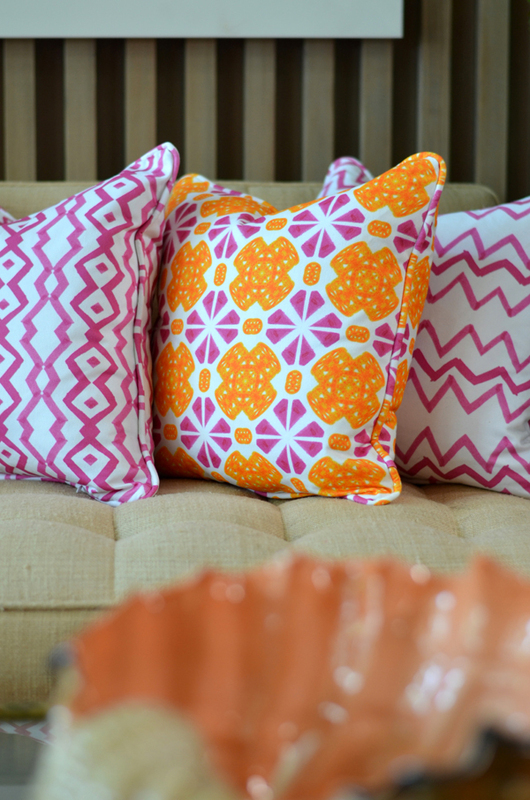 Obsessed with the pink zig zag pillows!! 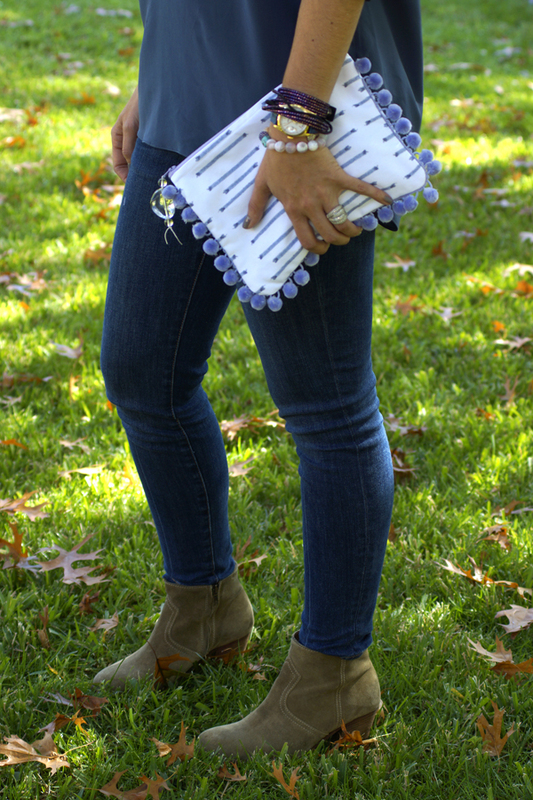 I love the pouches and the pom pom fringe. If my cat wouldn't chew them all off, I'd put it on everything! I really like the grey rain fabric a lot as well. Congratulations! I know you'll do well. That is so exciting - love all of your goodies and heading over to check it all out now!! WOW!!!! I am so happy for you!!! & impressed!! This is so amazing of you! I'm so very excited to check everything out! You are so creative! The patterns are truly fantastic!!!! I will have to let me readers know about your store opening! Oh oh oh!!!! CONGRATULATIONS!!!! That is a very good news!!!! Enjoy with it!!! Best wishes!!!!! great news!! congrats on your shop!! I love the graphic nature of your fabric designs. The fuschia and orange one really speaks to me. Wonderful job! These are fantastic!!! Congrats albertina!! I'm hopping over right now:). So exciting! Love all those pretty patterns. 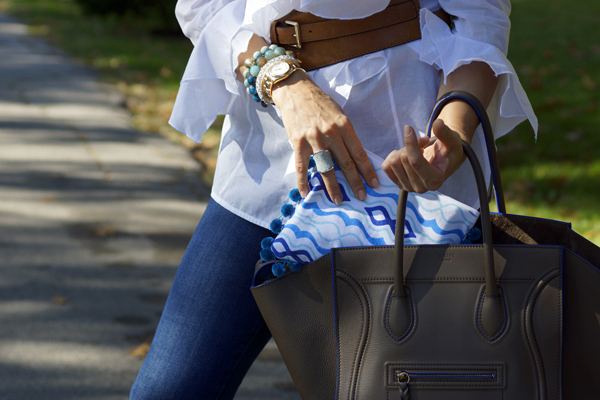 Love your bags here, and LOVE LOVE the styling! Now following thanks to Jessica at The Aestate! So excited to have found you! Fantastic, Albertina! Congrats and much success! Omg!! Can I just say amazing?? Maybe I am just slow but I just realized this. How can I get everything in your shop please??? Wow! They are all stunning. 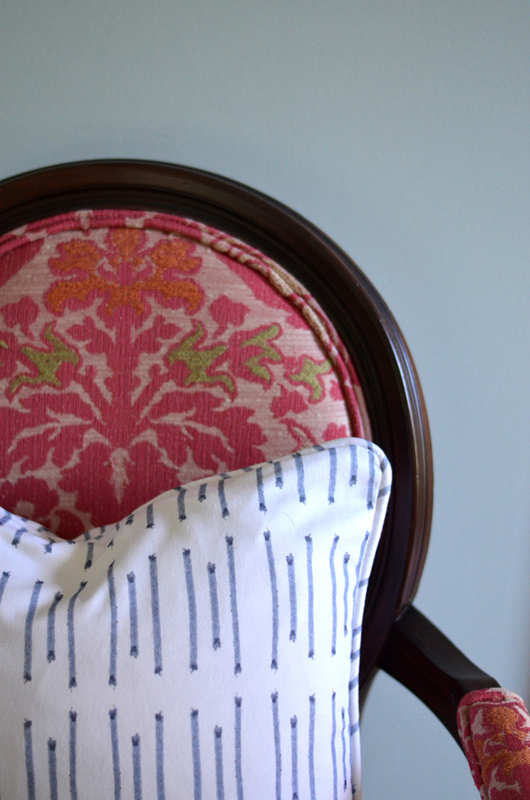 Love the bright colors and terrific pattern. Adding to my wishlist for sure!